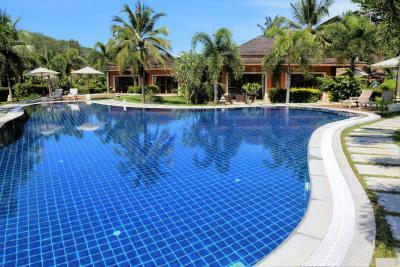 Lock in a great price for Laguna Villas Yao Noi - rated 9.3 by recent guests. 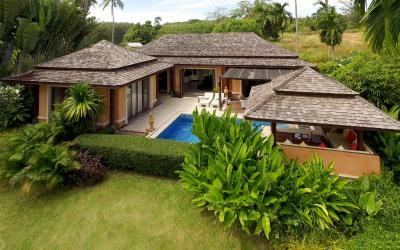 Amazing, large villa overlooking the beautiful pool and the lovely garden area - and with the sea and the lime stone islets in the background. Very nice and helpful reception staff. Good rental options including tuk-tuk, scooter with side car etc. Good room with own little pool and outdoor shower. We had the most wonderful time in this hotel. The beachfront location, the impeccable rooms, the delicious food and cocktails, and the cozy pool made our stay here amazing. Very relaxing environment. 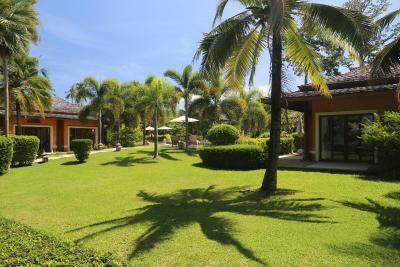 Nine villas distributed around a wonderful pool, with a low profile but excellent restaurant. Staff is really nice and helpful. 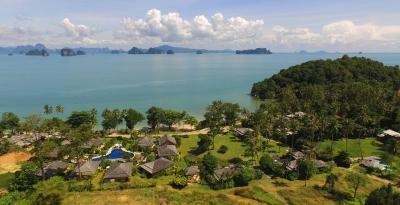 Really happy that we chose it, made our stay at Koh Yao Noi a wonderful experience. Very spacious bungalow with large bedroom living room including small kitchen. Very nicely decorated. The swimmingpool was lovely! 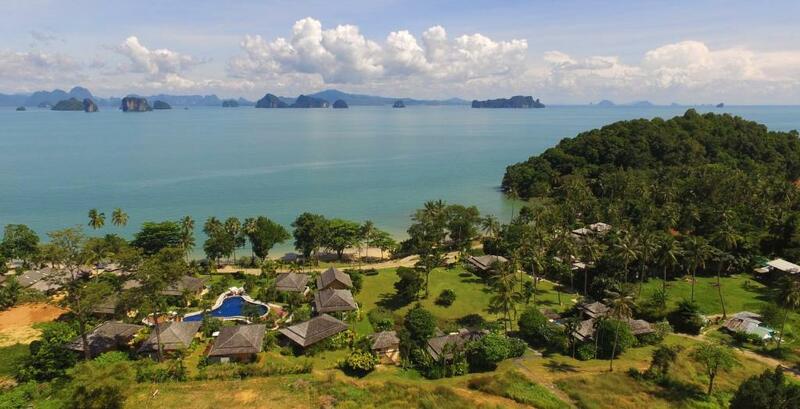 I absolutely love my stay in kao yao noi. And for an alone trip, it was just amazing to stay in this property. 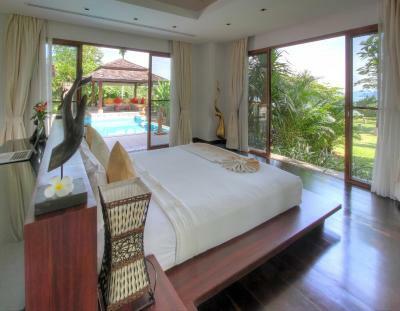 I absolutely love my private villa in front of the beach. I also ate at the restaurant and it was good! i absolutely adore the service and the staff ithout forgetting the smell of the orchidea . My stay there is one of my best memory of 2018. 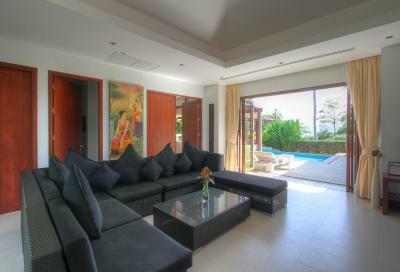 We booked a two room villa (with a pool) and single room villa. The latter faces a common pool. 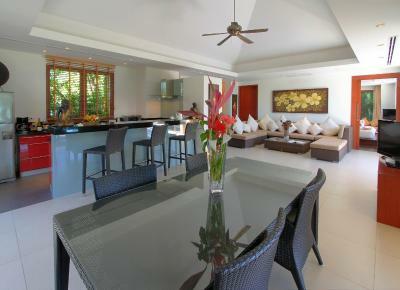 Both villas do look good when we first checked in. It was spacious and nice looking. The staff were helpful, the restaurant has a limited menu but food was nice. The people, particularly K Nan, were amazing. The villa was large and well built. Really nice. Comfy sofa, nice bed, newly renovated (or so it looked) bathroom. Great stuff. Also the kitchen was well equipped and the minibar was fairly priced. 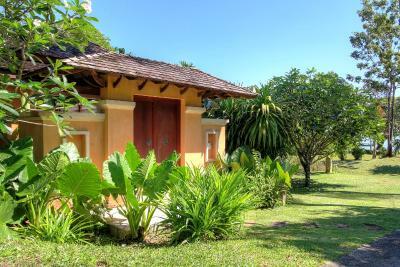 One of our top picks in Ko Yao Noi.Located on Koh Yao Noi, Laguna Villas Yao Noi is conveniently located only 20 yards from the beautiful Pa Sai Beach. Offering free WiFi in all luxurious rooms, guests can enjoy a relaxing afternoon by taking a dip into the infinity pool or getting massages. 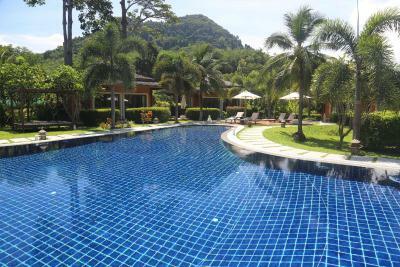 Other activities provided by the property are Thai cooking classes, diving and kayaking. 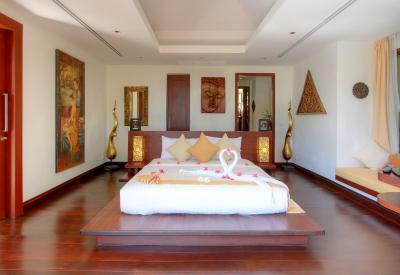 Fitted with contemporary furnishings, rooms at Laguna Villas Yao Noi are stylish and comfortable. 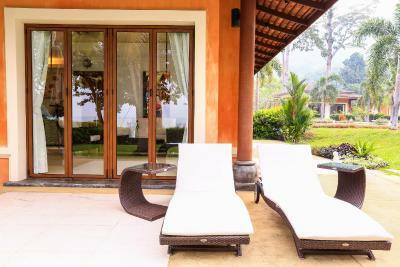 Each Deluxe Beach Suite consists of a bedroom, an en suite bathroom and a spacious living area with a sofa, a table and a set of chairs. 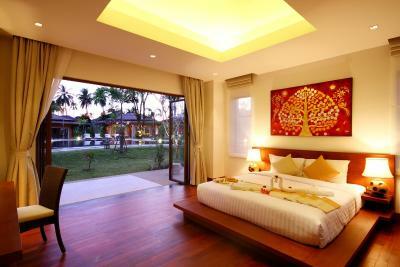 The air-conditioned room comes with a private balcony, a seating area and a flat-screen TV. 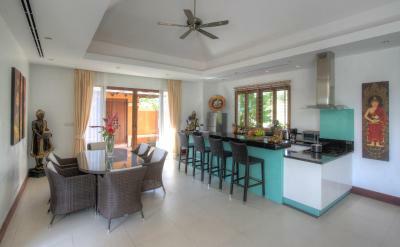 The kitchen area is equipped with cutlery, an electric kettle, microwave oven and a refrigerator. Staff at the front desk can assist guests with tour arrangements and motorbike and bicycle rentals. For convenience, the property offers babysitting services and a chargeable shuttle service. 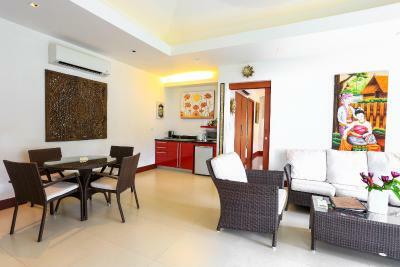 The property is a 20-minute drive to a local market and Manoh Pier. 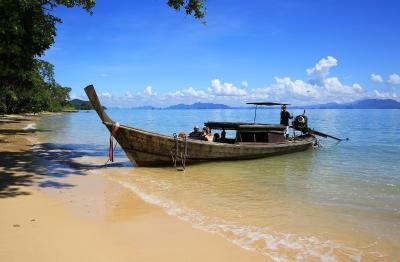 Krabi is a 30-minute ride away from Phuket via speedboat. 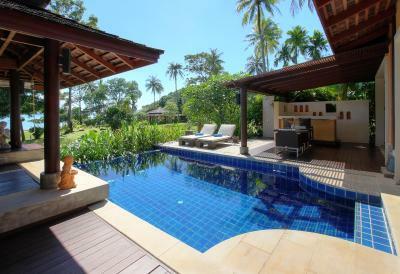 This property also has one of the best-rated locations in Ko Yao Noi! Guests are happier about it compared to other properties in the area. 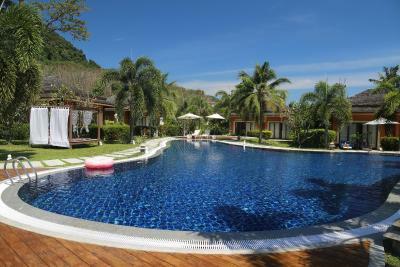 Laguna Villas Yao Noi has been welcoming Booking.com guests since 19 Mar 2012. 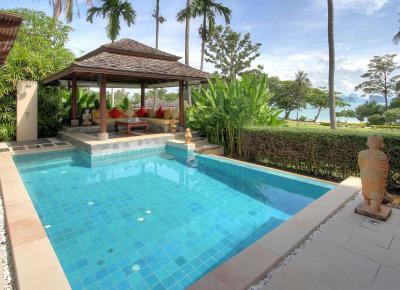 When would you like to stay at Laguna Villas Yao Noi? 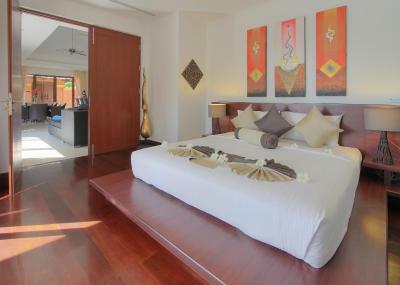 Located 30 metres from the beach, sea or pool view suite comes with a private terrace, living room and kitchenette. An en suite bathroom is included. It also has an outdoor rain shower. This villa has a toaster, bathrobe and tile/marble floor. 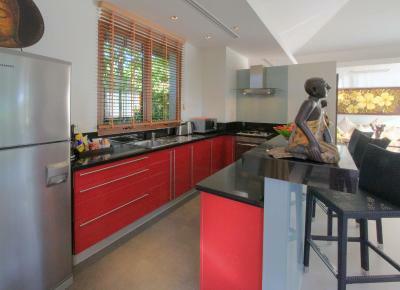 This villa features a soundproofing, toaster and electric kettle. 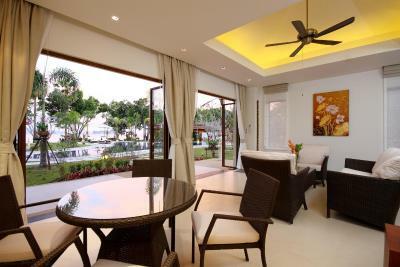 This villa has a garden view, electric kettle and tile/marble floor. 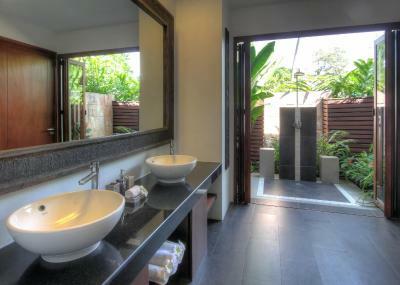 House rules Laguna Villas Yao Noi takes special requests - add in the next step! All children under 12 years are charged THB 700 per night for extra beds. 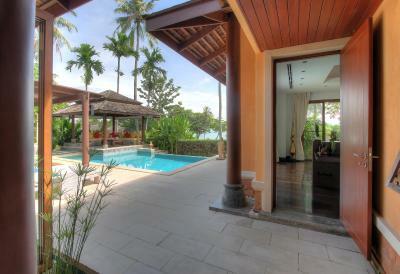 Laguna Villas Yao Noi accepts these cards and reserves the right to temporarily hold an amount prior to arrival. 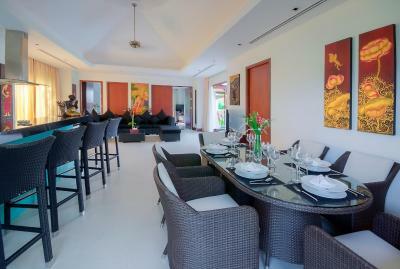 Please inform Laguna Villas Yao Noi in advance of your expected arrival time. You can use the Special Requests box when booking, or contact the property directly with the contact details provided in your confirmation. The only negative thing is the menu for dinner: we would like to eat dinner there but was disappointed with the limited choice. It is a pity, because the location with nice view was superb. One can only swimming in the ocean when it is high tide. 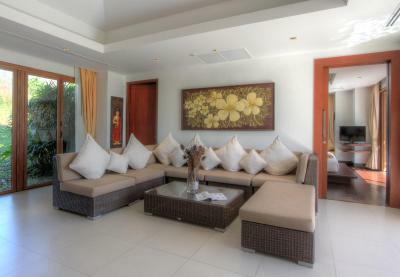 We have thoroughly enjoyed our stay in Laguna Garden Villas. All staff we met were very friendly and service minded. The communication with the hotel was prompt and clear. They sometimes recommended services, such as taxi service, before we even consider it ourselves. The check-in /out processes were efficient and friendly. The suite and the bath room were clean and very spacious. Our suite has two large rooms, with two extra beds for our children in the living room, it still felt as there were plenty space for the sofa and table. The hotel provided enough drinking water and beach towels. The location is good with nice beach on the other side of the road and a great view to the small islands. There are several nice restaurants within the walking distance. The swimming pool is beautiful and clean. The breakfast was included. The food quality was very good with large quantity and fresh fruits. 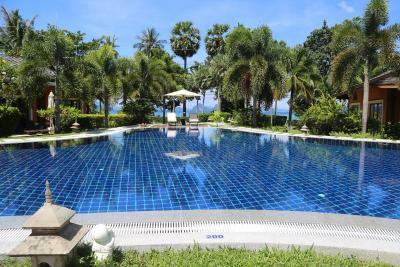 If you visit Kos Yao Noi, this is the hotel to stay! Only minor negative was the excursion we booked through the resort. This should in no way negatively influence your decision to book Laguna Villas however, please just know you are better off booking your island tours with a man named Lip (pronounced Leep) just a few doors down next to Pyramid restaurant. On the island tour we booked through Laguna Villas the tour guide, was curt and not very friendly from the start, never even introducing himself. We said good morning to him and he barely eeked out a response. Once into the long tail boat, he wrapped himself into a hammock and went off to sleep, never once providing any information as to where we were heading first or any information about the islands. I honestly did not have a good feeling about him from the beginning and his energy did not read well. The remainder of the day was basically a wash. It was our least enjoyable day trip and the most expensive. Most upsetting to me was when we were about to kayak, he did not offer life vests to us. I can swim but my husband can not, it wasn't until we mentioned it that he went to get one and with an attitude at that. The water was not shallow and we ended up falling out of the kayak. That could have been devastating had we not asked for the life vest for my husband. Sadly he returned to that hammock to sleep after every stop on our trip and was completely unbothered for the remainder of the trip. 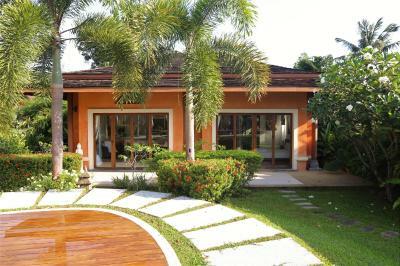 I will happily return to Laguna Villas but will book all island tours through Lip. We had fantastic experiences with him. We used him for 3 tours. Laguna Villas is a dream! My husband and I spent a blissful week there during our honeymoon. We were greeted by Nancy upon our arrival and she took great care of us throughout our stay. We stayed in Villa #9 which has a direct seaview. The villa was exceptionally clean and they even decorated the bed with fresh flowers and a lovely towel bird in celebration of our honeymoon. 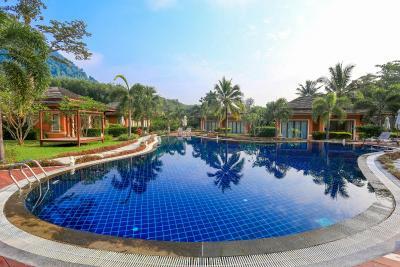 The villas surround the hotel pool which is large and very clean. 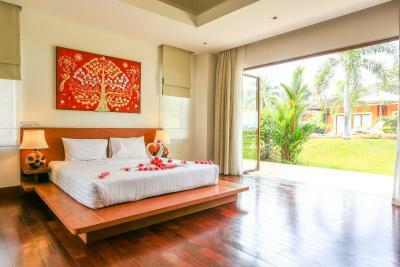 Each villa has an indoor outdoor living area and a separate bedroom with a large bed and cable television. 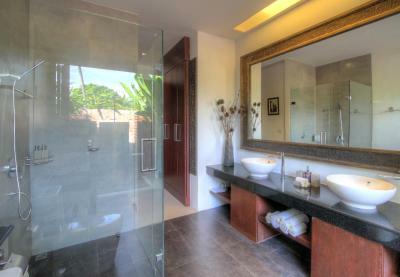 The bathroom is large with a lovely outdoor shower. Make sure to try and shower before 5:30pm when the mosquitoes are most abundant, if forced to shower after that, use bug spray and be quick. Breakfast was included in the room rate, served at the restaurant just next door and the menu is large with a lot of western and Thai options to choose from. I enjoyed the fresh yogurt, museli, and fresh fruit daily with a fresh cucumber, pineapple and lime drink. The option to sit inside the restaurants with cooling fans is available as is the option to sit in verandas (if available) right along the beach. 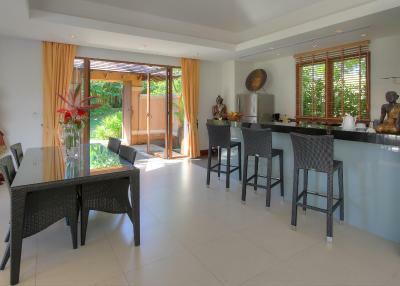 Laguna Villas gives 10% off lunch and dinner for guests staying with them. My husband and I enjoyed a few meals at the resort restaurant and the food was consistently good. The owner (we never got his name) would bring a lovely sauce to my husband every morning to eat with his rice, this was a nice touch. There are several neighboring restaurants as well in case you want to try other options. 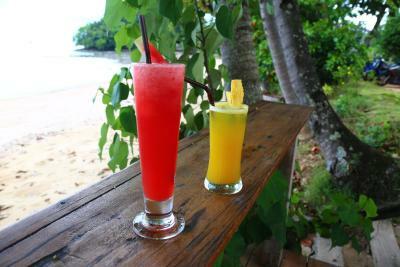 The Green Coffee shop is good for pastries and shakes, and Pyramid restaurant is exceptional for lunch and dinner. Cafe Kantary next to Cape Kudu hotel is another fantastic option. 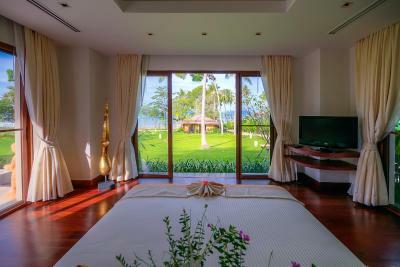 Laguna villas is centrally located on the lovely island of Koh Yao Noi and views from the resort are stunning. You can see the sunrise daily right in front of the resort. I honestly didn't want to leave. 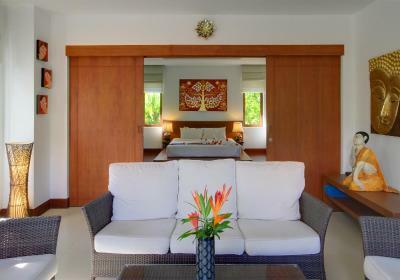 The resort certainly has mastered the art of comfort. A delightful stay in a beautiful location. Will definitely come again. Breakfast ("Pick from a list") was a bit disappointing for this high end resort - very traditional/limited selection (2 kinds of fruits most days) and often quite a few things unavailable (smoothies, pancakes). In general, the restaurant area doesn't match the standard of this otherwise beautiful resort - could do with a makeover. The restaurant could do with some updating. We had breakfast there in the morning which was fine but would not recommend it for evening meals. 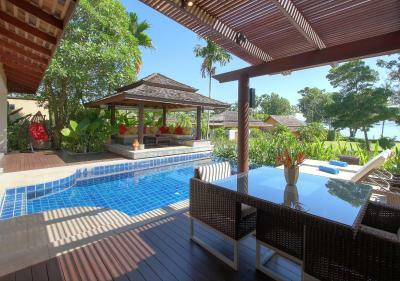 Great bungalow in beautiful surroundings. Pool was great although it was like swimming in a warm bath - not really refreshing. 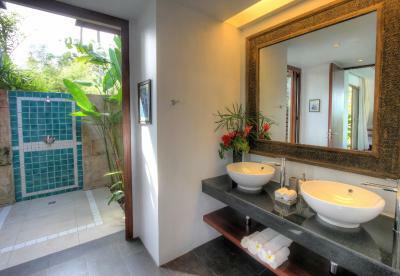 The bungalow was spotlessly clean & we had our secluded relaxation area which was great. The beach is just across the road so perfect for watching the sunrise & for swimming. Also near to other restaurants & bars. Transfers to and from the island were difficult for us, but the property helped us out immensely. On our boat out we failed to hear the pier person call for us to board, after a call the property team had a cab pick us up, take us to another pier, arrange a boat, and taxi on the other side to get us to our mainland destination. And they took care of the costs -- amazing. Great property right on a little beach. Value is good. Set us up with rentals for motor bikes, boat rentals. Breakfast is included and tastes good. Dinner was fairly good as well. Only 8 villas. The interiors have a Thai flair. 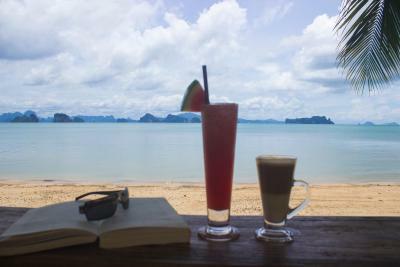 The island of Ko Yao Noi is a nice, quiet option in what can be a crowded tourist area. Sea view wasn’t worth anything villas are way back from the beach and across the main road. The breakfast was hopeless. One over cooked egg and boring sliced bread. For the very expensive price tag this place is really not worth the money. The service was pretty poor as well as they messed up even a simple request to deliver a fruit basket and champagne a on my wife’s birthday. For the price this place is simply not good enough. The Villas, the pool, the staff, the Food. After we settled in the hotel, we started to noticed that its facilities was deteriorating. The flooring in one of the bedroom was breaking up, original switches was not working but rewiring to a few switching points. Water feature at the entrance to the two room villa was stagnant. As we walked from our villa to the hotel reception we saw 2 incomplete villas and surrounding areas that could do with some simple gardening maintenance. This is a hotel with potential to be a great resort with a wonderful beach front but lacks maintenance that can quickly disappoint after a good first impression. We felt the staff were overworked, we see them manning the reception and also acting as waiters taking orders at the restaurant. Thus extra bed request needed to be reminded in the evening and no shampoo or soap until the next day. Our stay was cut short by a day due to the Pabuk storm. The staff was very helpful to help arrange for us to leave the island a day earlier in case all ferry service will be suspended the next day. We asked for a discount from the hotel, for having to leave a day earlier but was told it was not possible. But most disappointing I guess was that the owner was not engaging with the customers, standing on the side and leaving it the the staff to do the explanation.